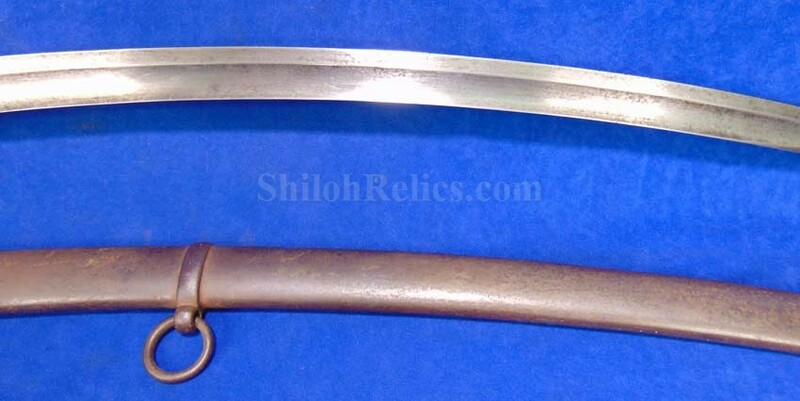 This one is a very attractive original Civil War era artillery saber in scabbard. This is the pattern that was made at the famous Chatternault Arsenal in France. You can no longer the arsenal mark along the spine of the blade but it is definitely one of their products. 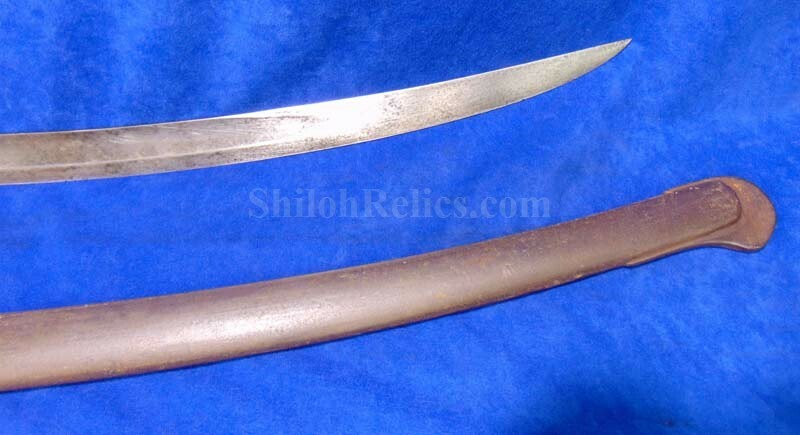 The blade is full length with a light gray color all the way down the blade. 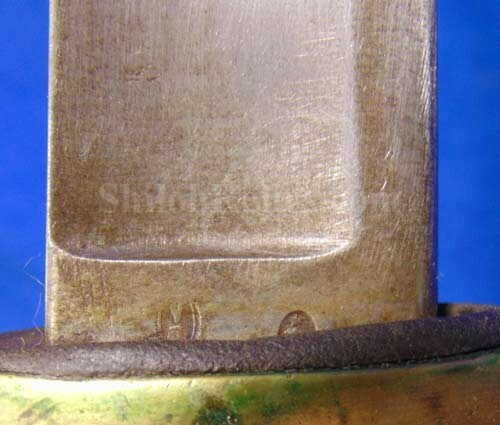 The At the base of the blade you can still see the arsenal inspection stamps. 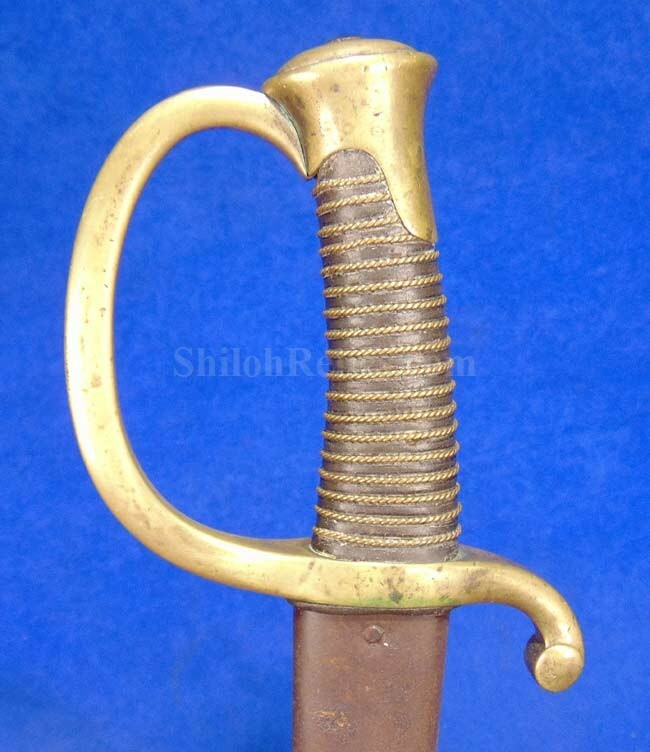 The brass on the guard and pommel cap is complete and they have a golden color all over. The handle has a gorgeous look. The original leather is 95% present with an untouched look. 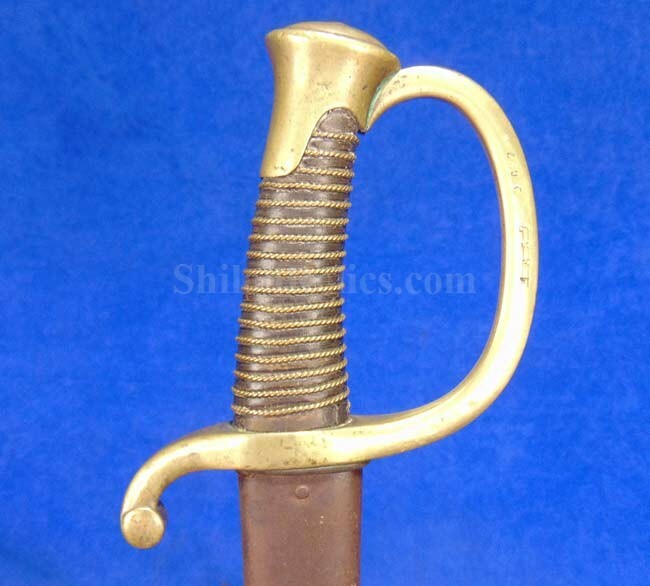 The original double twist brass wire is present on the entire handle. 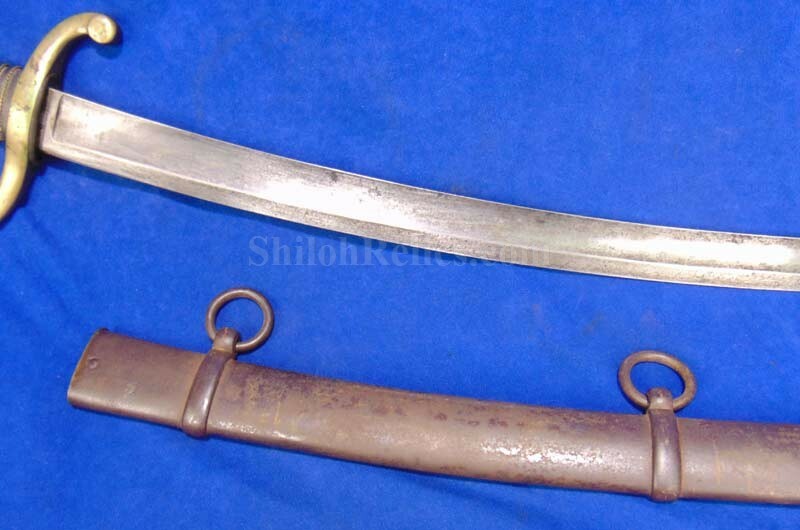 The sword is accompanied by the original scabbard that fits the sword very well. 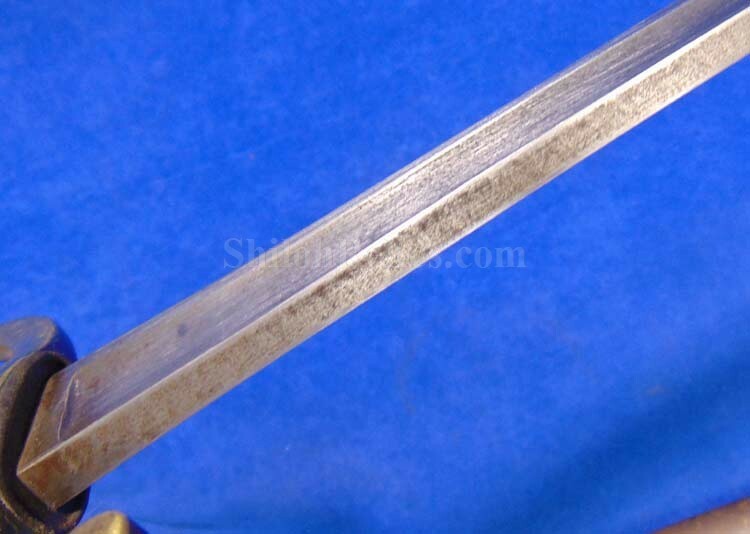 The scabbard is dent-free with a dark gray tone to the metal. It has both of the rings and mounts intact as well as the drag and internal throat piece. These imported artillery sabers were carried throughout the Civil War by artillerymen of both sides. 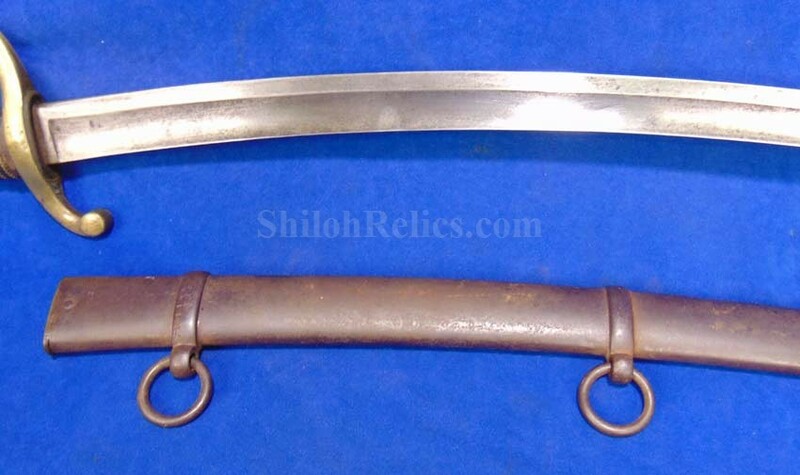 This one is a very nice and complete Civil War era mounted artillery saber in the original scabbard for the price.